According to the most recent IMF forecast published in May 2018, the average growth rate in sub-Saharan Africa is projected to rise from 2.8% in 2017 to 3.4% in 2018. While Nigeria’s giant economy is still stagnating and slowly recovering from the period of low oil prices, Benin, Burkina Faso, Côte d’Ivoire, Ghana and Senegal were among the West African economies with a solid growth rate of 6% or more in 2017. These economies are likely to continue to enjoy strong growth rates in 2018. However, growth is mostly driven by public infrastructure development, which contributes to an increase in public debt; the risk of debt distress has become a concern in many African countries. There is a need to increase private investment to achieve sustainable strong growth over the medium term. Private investment in sub-Saharan Africa remains low compared with other regions. The region could also gain from strengthening its tax collection mechanisms to increase domestic revenue mobilisation. 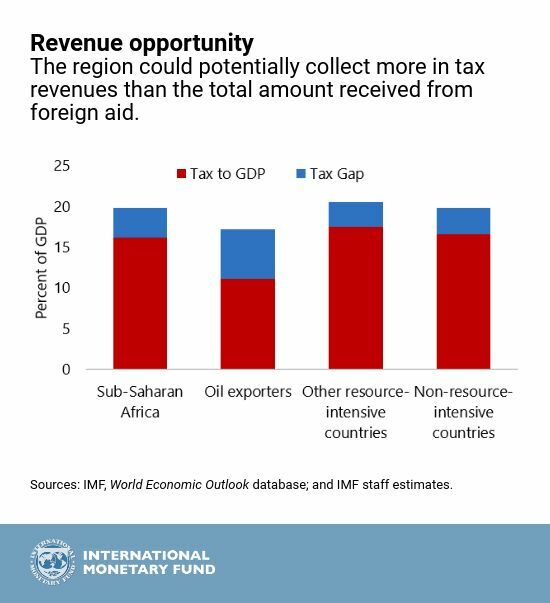 The report estimates that sub-Saharan Africa could, on average, collect between 3-5% of GDP in additional tax revenues, significantly more than the amount the region receives each year through international aid.